The most important sacral building in the village Marianka is the Roman Catholicchurch of Nativity of the Virgin Mary. It was built in 1377 in the Gothic style, it was widened in the 17th century and reconstructed in the Baroque style in the 18th century. J. Lippert reconstructed the presbytery of the church in the Neo-Gothic style in 1877 but the Baroque stucco ornamentation of the nave with the motif of the Pauline order (two lions next a palm tree) survives. The statue of the sitting Madonna from the end of the 14th century, allegedly cut from a pear tree wood by some hermit, adorns the altar. As there are few Romanesque monuments preserved in Slovakia, Madonna of Marianka with the Romanesque flair is highly appreciated. In front of the church the Late Baroque statue of St John Nepomukstands. Putnicky Mlyn guest house is situated in the foothills of the Small Carpathians 2 km from Pajstun Castle and only a 10-minute drive from Bratislava. It offers free Wi-Fi and free parking. Our hotel is located in the quiet and green area of the Little Carpathians close to Bratislava and offers an outstanding commitment to individual service. Situated in Stupava in the Bratislavský kraj Region, 49 km from Vienna, Penzión Privát features a barbecue and views of the mountain. Private parking is available on site. Bratislava is the ideal starting point for a trip to the Pajštún Castle next the village Borinka in the Malé Karpaty Mts. Set right on the main street in the small town of Stupava, Hotel Eminent has a bowling alley and offers air-conditioned rooms with free Wi-Fi, minibar and flat-screen satellite TV. Free private parking is provided on site. Surrounded by forest, Park Hotel Stupava is set 1 km away from the centre of Stupava. It offers tennis courts, an indoor and an outdoor pool as well as a restaurant with a terrace. Free Wi-Fi is available throughout the building. Located in the town of Stupava and the Bratislava city reachable within 9.3 mi, Penzión Green Hof offers accommodations with a garden and a terrace. Free WiFi is available in all areas. This stylish hotel is located at the foot of the Little Carpathians, 10 km north of the city centre of Bratislava and next to the D2 motorway. Located in the suburbs of Bratislava near Devinska Nová Ves, Bonus Resort is a ranch offering tennis courts, horse riding lessons, a restaurant and a terrace with barbecue facilities. Free Wi-Fi is provided. Important Roman monument known as villa rustica finds one in the locality Veľká lúka (territory of the municipal ward Dúbravka in Bratislava). It is the National Cultural Monument. You’ve come to the right address. Altitude Restaurant is a legendary spot with the best view of Bratislava and surrounding countries from the highest vantage. Experience a stunning 360° panoramic view of the Bratislava metropolitan area inside the revolving Altitude Restaurant. It is a great pleasure and an honor to invite you to discover the culinary treasures our restaurant offers. Let the Altitude Restaurant and its sweeping vista awaken all of your senses. The name of this 439-meter hill overlooking Bratislava. Múzeum je dokumentačným, vedeckovýskumným a metodickým múzejným pracoviskom zameraným na dejiny a kultúru Chorvátov na Slovensku od ich príchodu na územie dnešného Slovenska až po súčasnosť. Múzeum zhromažďuje, ochraňuje, odborne spracováva a prezentuje hmotné doklady súvisiace s jeho profiláciou. Svet iskrivých, šťavnatých a výnimočných chutí a vôní. Devín Castle standing on a massive rock hill above the confluence of the Danube and Morava is an unusually impressive landmark. 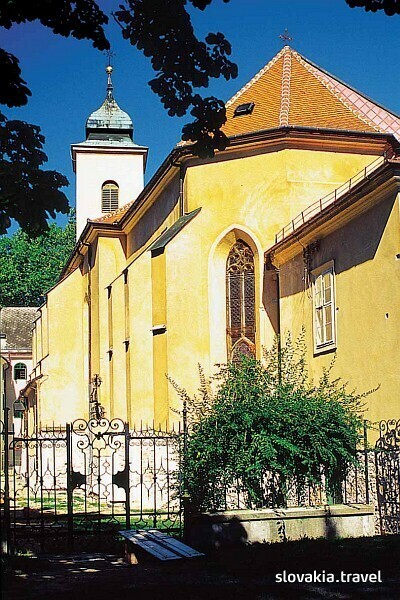 It is part of the oldest history of Slovakia.